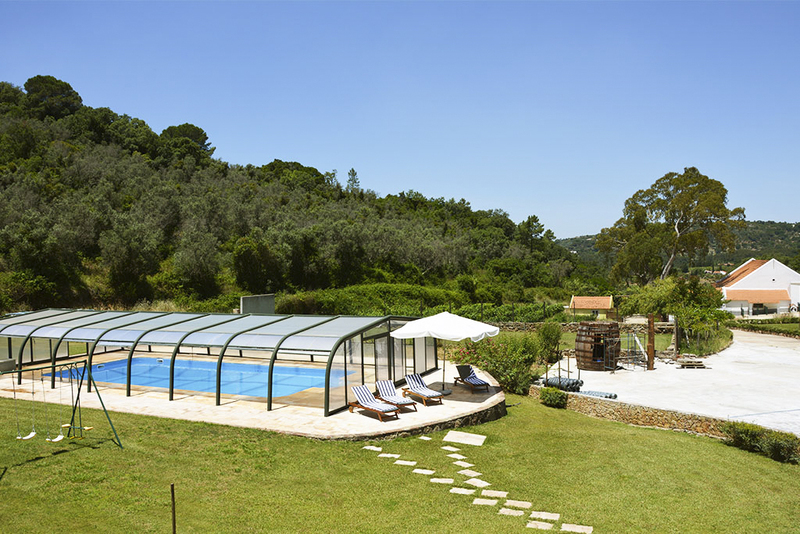 Villa Liana is a holiday home which is both designed for scale, whilst being charmingly rustic and home-like. 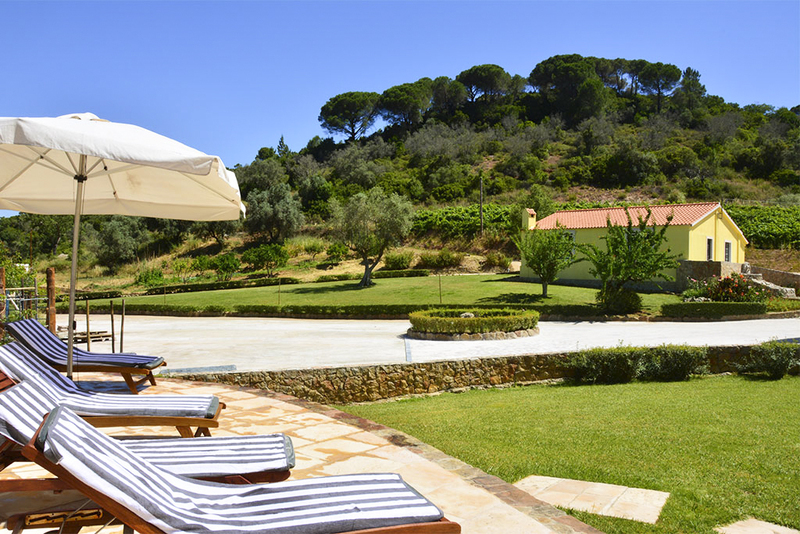 Set deep within a rural, rugged spot, in the very heart of Portugal’s wine region, surrounded by farmland and vineyards. 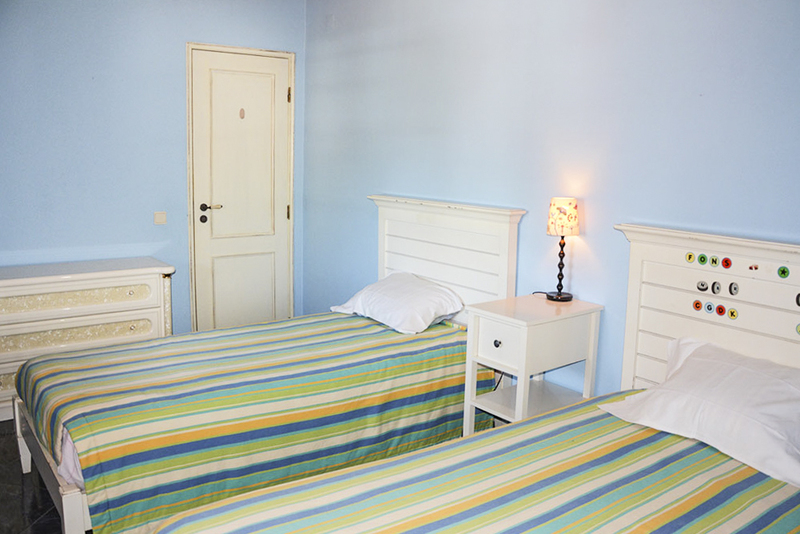 For holidaying in groups, simply look no further! Designed to accommodate sixteen guests across a series of wonderfully unique and quirky suites, each one more characterful than the last. 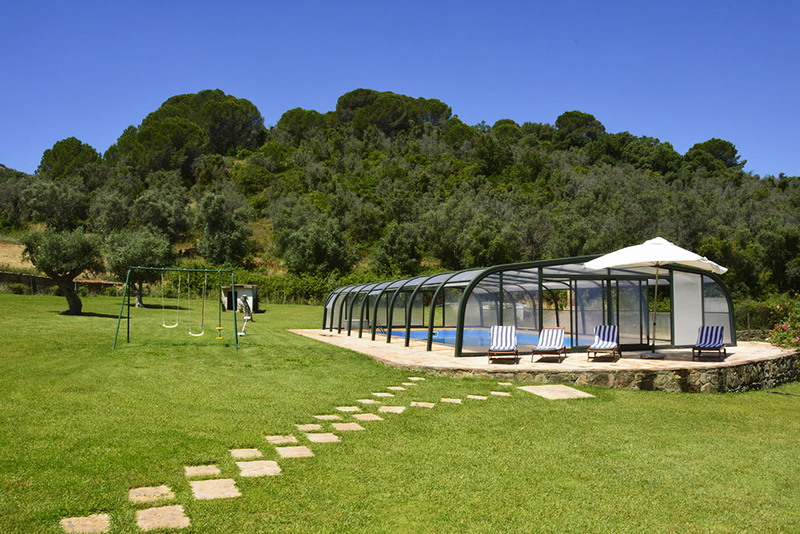 Located in Azeitão - Arrabida, thirty five kilometres south of Lisbon, set within acres of private land. 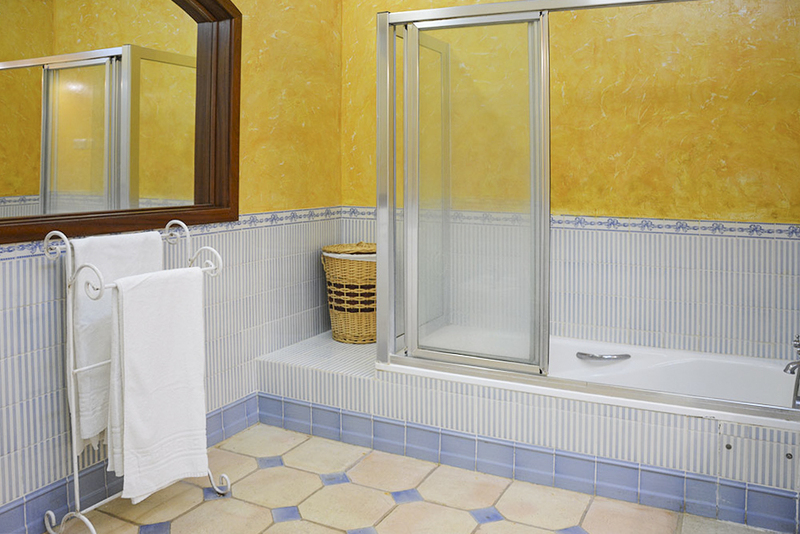 Pulling into the estate, guests will take in the large, L-shaped building in a lemon yellow with terracotta tiling, surrounded by olive groves, vineyards, rolling hills and woodland; Villa Liana is a tranquil idyll designed for group experiences. 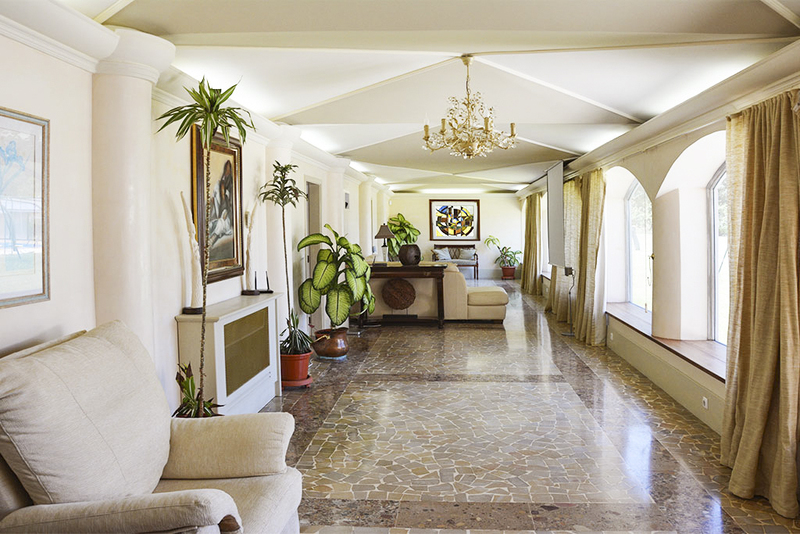 The living spaces are airy and ample: large marble hallways with chandeliers, in a low-key characterful, opulent tone make for an eccentric environment full of personality! 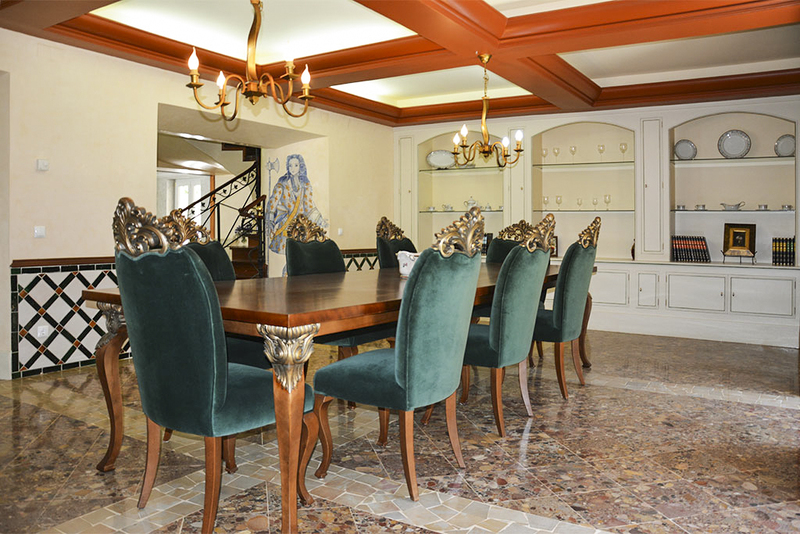 There are both formal and informal dining spaces, whether it be the extended angular island for breakfasts, or more plush velveteen upholstered chairs in the dining room, guests have plenty of options. 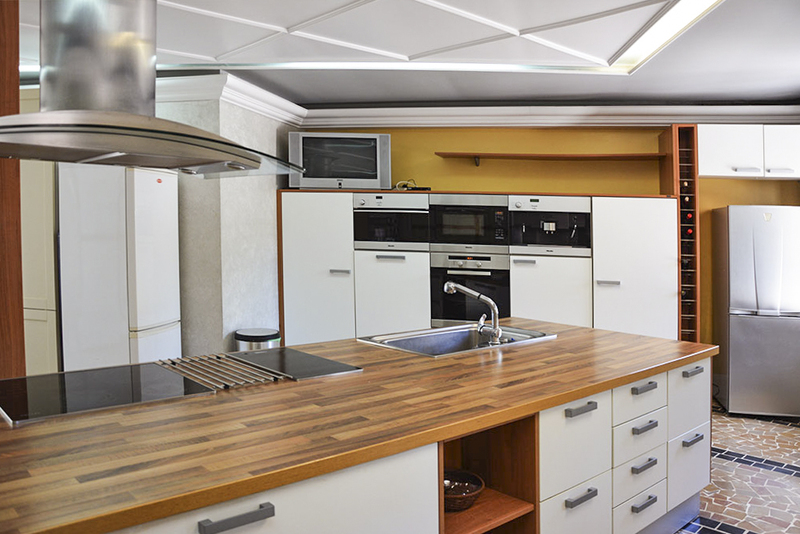 The kitchen is well equipped and fully functioning for groups - all the appropriate appliances are provided. The furnishings are an eclectic mix of contemporary and traditional whilst there are some features such as open fireplace and exposed timber sloping ceilings in a nod to the local style. 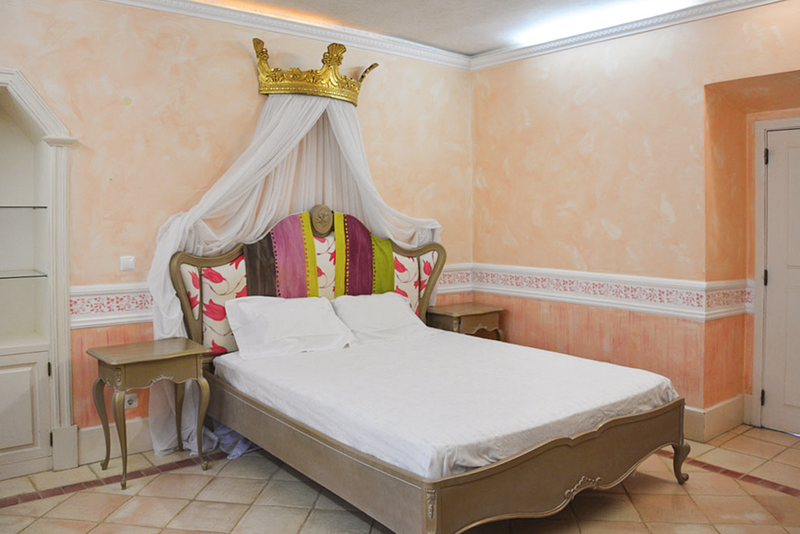 The large, comfortable double bedrooms keep visitors guessing with splashes of vibrant colour and wonderful quirks, like the “princess” bed with pretty crown and draped curtains. 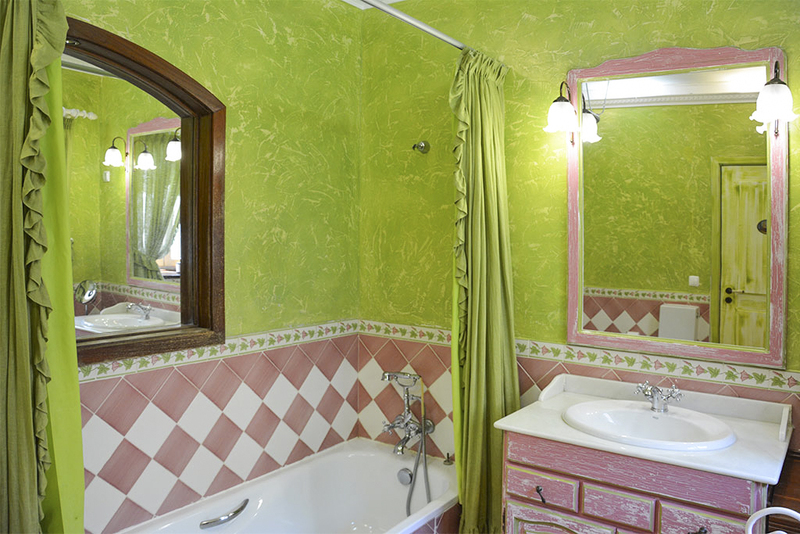 From deep ochre tones to pistachio greens and candy pink - these rooms put a smile on their guests faces - unpretentious and full of personality guests will have enormous fun selecting their room. The ground floor comprises four double ensuite bedrooms, whilst the first floor comprises two double ensuite bedrooms and two twin bedrooms. 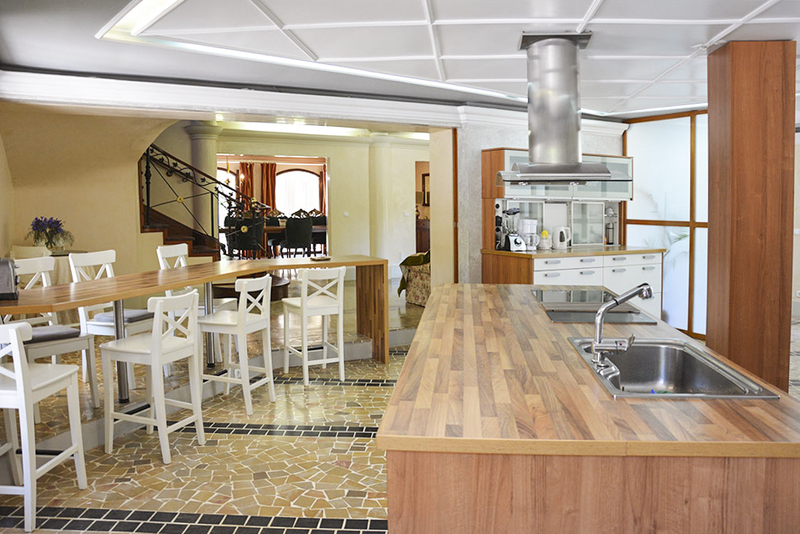 Every essential luxury is included, from table tennis and table football, to DVD, multi-channel television and Wi-Fi. 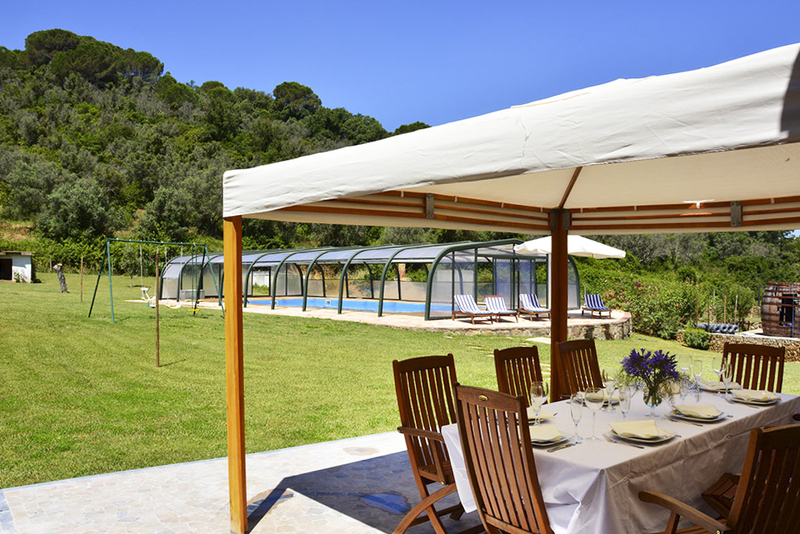 Guests have plenty of space to spread out, whilst the outdoor areas are second to none. 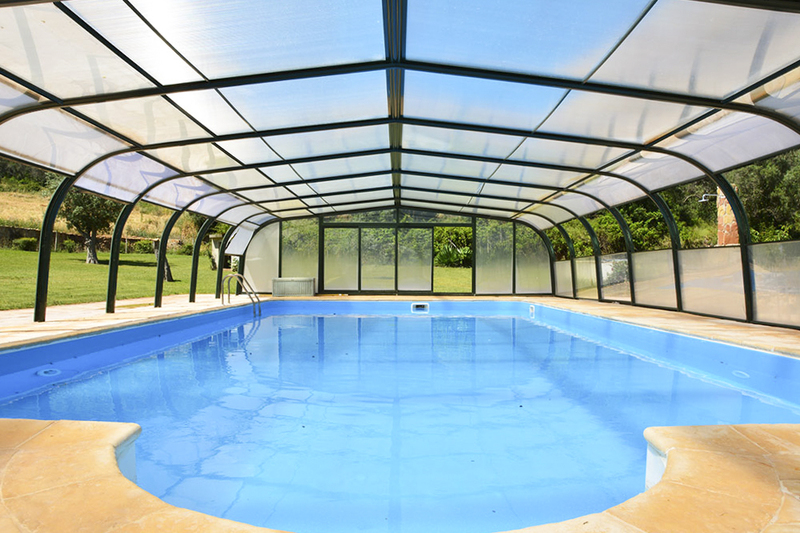 There is a large heated pool with outdoor shower, children swings, huge green lawns, outdoor barbecue area, fourteen sun beds and parking for six cars. Every detail has truly been taken care of; guests can simply arrive and sit back on the outdoor terrace space, enjoying an al fresco meal or a glass of local wine from one of the vineyards. For a superb, countryside group holiday experience, with every convenience provided on-site, simply look no further! 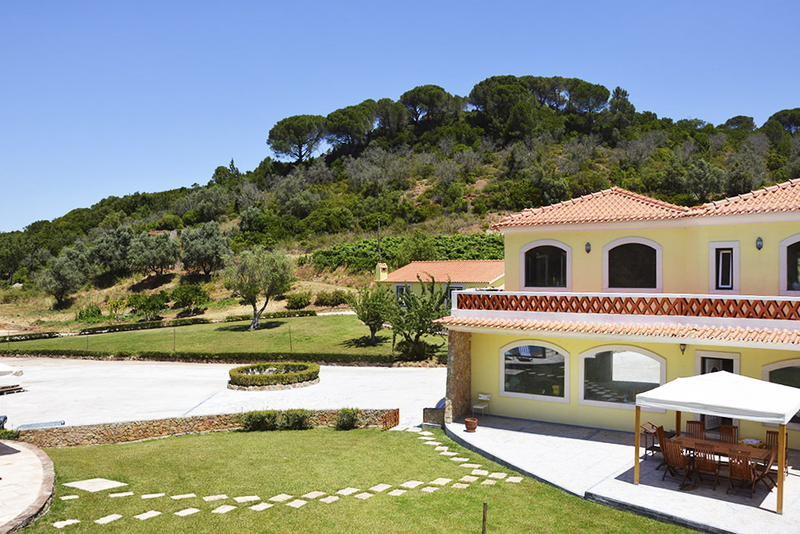 Villa Liana is in a rural location, half an hour south of Lisbon. 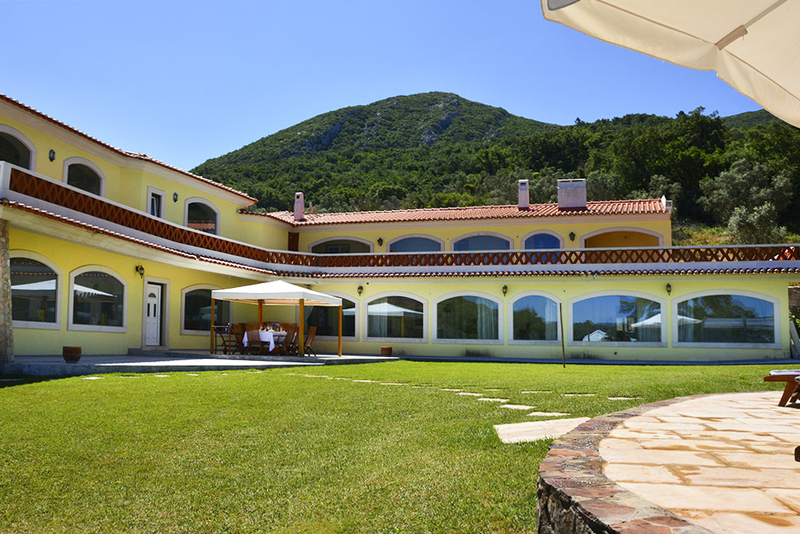 The beach is a short distance away, at the foot of “Serra da Arrábida” which comprises a natural park offering an array of wonderful beaches: Portinho da Arrábida, Galapos Coelhos and Figueirinha. The region is rich with wine production, producing some of Portugal’s finest local wines. 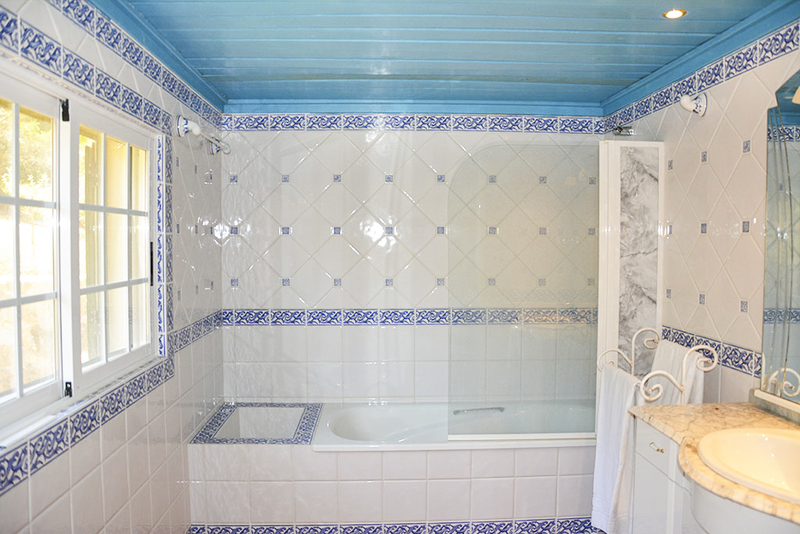 There is an array of activities available locally, including horse riding, trekking, as well as golf courses. 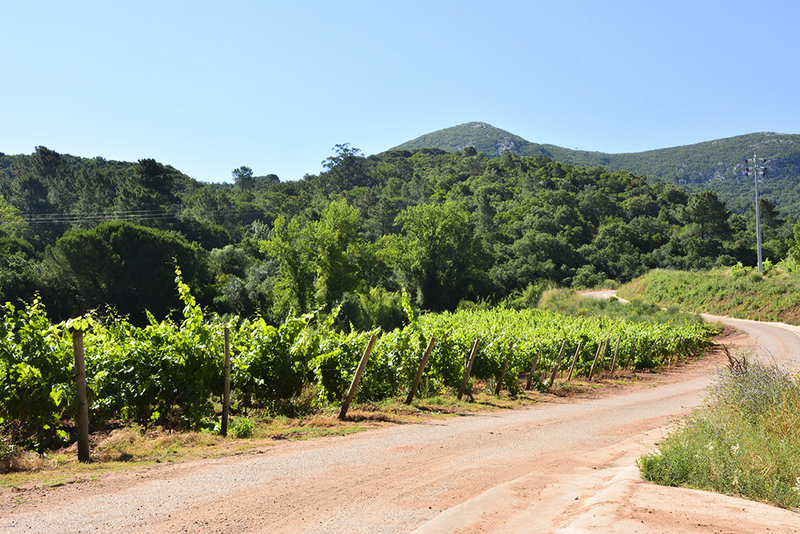 Azeitão itself is a sleepy but prosperous village, very much known for its wine heritage, nestled among olive and cork trees on the old Sétubal-Lisbon road at the foot of the Arrábida mountains. 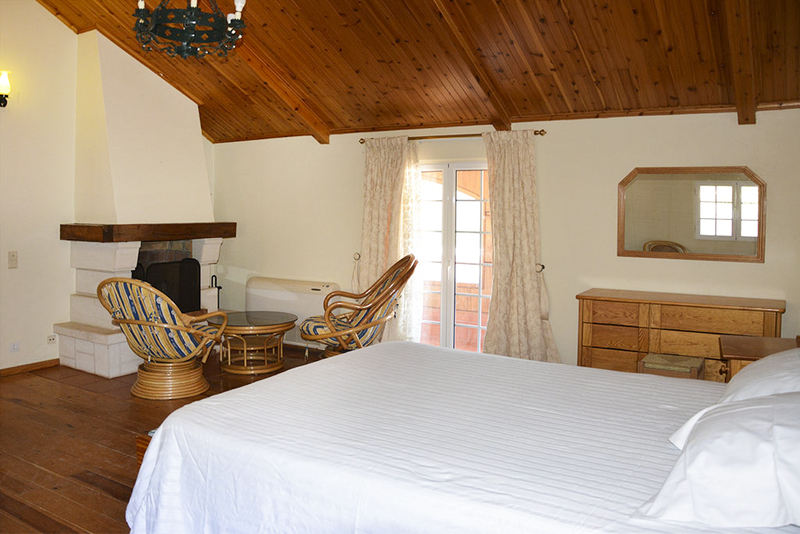 With wonderful country villas, the region is know not only for wine, but for olives and creamy sheep’s cheese - the latter being known as some of the best the country has to offer. Worth a visit is the fifteenth century Quinta da Bacalhoa, a beautifully restored Renaissance villa where visitors can wander around the stunning gardens. The Fonseca Winery is a fantastic opportunity for visitors to sample the local wines, located in the centre of town and located to visitors all year round, producing the region’s renowned Moscatel wine as well as a wide variety of popular red and white table wines. This region of Portugal is ideal for water sports enthusiasts, whether it be canoeing, snorkelling, diving or surfing, the area is a water lovers paradise. Our pick of the beaches the region has to offer would be Portinho da Arrábida: with its crystalline waters and a batch of sleepy waterside restaurants where freshly caught grilled fish is the order of the day. There are many attractive towns to visit along the Lisbon coast, such as the beautiful former fishing village of Cascais, the dynamic resort town of Estoril, or the surfer’s paradise Carcavelos or romantic town of Sintra. For visitors travelling by car or bike, the views of the Tróia Peninsula from the main road (Estrada da Escarpa) that runs along the crest of the Arrábinda mountains.